Forums General Discussion If the vast majority of games are QM, how can it be better? If the vast majority of games are QM, how can it be better? This means that of all the games played this week with Kerrigan in them (excluding vs AI/brawl) about 76% of them were Quickmatch. I'm sure these numbers are skewed with her being new, but still. Is the vast majority of the community actually playing QM? Blizzard has the actual stats. If everyone is playing QM, why hasn't the focus of the game/matchmaking been shifted for this? What should change? Everyone agrees QM is basically garbage, but why do we accept that? If it is all anyone plays, either the other modes need to be brought in line, or QM needs to be improved. There are a bunch of threads about this, but I've never seen anyone mention just how lop-sided QM is compared to the other modes. This is where the player population is. This is why matchmaking takes so long. Is the vast majority of the community actually playing QM? Brawl makes sense because those games are short and relatively "carefree". AI is also mostly players farming skins with 6 minute wins vs AI. Note that this was shortly after UD introduction (novelty) and before all the hassle with the ranked modes. QM isn't garbage. It's working as intended in my opinion. You can play whatever hero you like and the queue time is very short. Players have no control over hero compositions (except they play as a premade team) and therefore it's always a little bit of gambling. It's not automated draft match or composition match and due to some randomness it's obviously possible that one team could have more favorable hero composition. Still this isn't the only thing that matters to win a match. Individual skill and team play is also important. I think it's just the standard MOBA mentality: If you loose, blame matchmaking. MOBA's are only balanced when players make the hero composition themselves with a draft system. That's why QM can never be balanced unless it's a 100% mirror match. Probably too many players don't understand this and prefer to role play as their favorite blizzard character or they are not competent enough to play draft modes yet. I could say that players want to play a specific hero and not forced to draft a role. 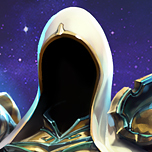 Also If all heroes and roles were viable, then other modes would be filled. Ex. Murky, a hero that excels in qm with the absense of counter and logic. But there are better heroes that can be drafted so that murky main wont enjoy. But the main issue is MM. Players flee from terrible MM. Blizzard is trying to shift players to other modes by making qm comps unbalanced but this wont work until they fix issues i mentioned above. My question is, the games played for draft modes, does that include games banned? If you are not adding games banned to kerrigan's draft games played then that would change the numbers you provided severely. All reasonable observations -- but why is this just accepted as the norm? Can we improve the overall quality of QM while still making it appeal to the same (vast majority) of players? I'll give you some perspective: I just started over on the Asia Server because I moved to Korea. I'm basically forced to play VS AI and QM to farm up the 16 level 5 heroes I need to play ranked. I've been playing quite a bit of QM lately, and really don't think it deserves to be the primary mode of play. It is clearly an "after thought" when it comes to balance and the like. If it makes up ~75% of games, how can we improve it? Also, with queue times being really harsh for UD/Ranked/Team Ranked in comparison, what could you change to get the benefit of that without spreading it out so much? I think the problem is that QM doesn't meet the developers intent while it takes all the player base. This is fixable. 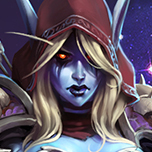 Looked at hotslogs myself, you are not including games banned, you have to realize that a hero that gets banned can't be played in a game, she has 2x the games banned as she does games played. Looked at the data for QM as I just took your word for it. Seems you misquoted the QM games played on kerrigan, instead of 42k games played like you claim, it's 35k. Since like you said Kerrigan is played in QM because she's new, players can play her every game. 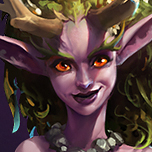 Since in draft you can't always pick the hero because the hero is not good on the map or is already countered or is banned her numbers are going to be lower. This is the biggest reason QM is more popular IMHO. 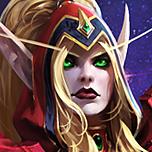 Players are locked out of draft modes because of the lack of heroes and lack of hero levels. He looked at last 7 days, you looked at last 7 days(current patch). Both is more or less valid as long as you stay consistent. QM isn`t ~76% of all PvP-games, it`s been around ~50% for a long time on HotSlog. That being said, it got a lot worse than it used to be at release. No real talentadjustments anymore. 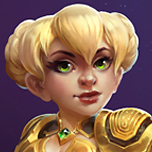 New/reworked heroes are generally better at most things and you can usually tell at the loading screen who will win. You can play TL and Unranked as soon as you have 16 heroes, TL even gives 50% more exp. QM is just more popular because you always get your role/hero. You can play drafts for hours and need to fill more often than not if you are unlucky. My math still favors my argument heavily... And the above numbers are actually indicative of "all" games recorded by hotslogs based on their total numbers -- has nothing to do with Kerrigan specifically since we just used her as an example for math reasons. You could do the above with any other hero and should get the same rough numbers (I actually rounded in your favor as well). I stand by my statement that QM makes up the vast majority of games played (almost 60%). I've said this a few times already but this game is very much like blizzard smash bros in that a lot of people that play likely do so because it's fun to have all these characters from games they love bouncing off each other. Forcing people to draft by role or not play someone they like because they're easily countered runs counter to the desire a lot of people go into this game with. 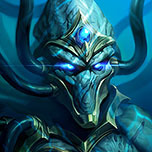 Ive thought about what it would take to get me to play any draft mode over QM and Id' need double the XP and gold to even get me to look at the mode plus reworking the report system to be safer. All I play is QM. I tried/wanted to get into unranked, but the pressure and know-how is too much. You need to be good at multiple heroes incase of ban and you need to know how most of the heroes work to do the bans (why am I always doing the bans, i'm the least experienced!?). I would love a more serious/strategic game that unranked provides but I'd like to play with people who are on my level who won't criticize/report me for not knowing all the ins/outs of the game. I play a lot of draft and i don't care about Gold and EXP at all. I play draft mode because i want to have a fair and competitive experience. My hero pool is really big and includes heroes from all roles so i have no problems with "getting forced" into something. If you feel forced into bad situations you are probably just not competent enough to draft yet. Obviously this only matters for solo queuing because it's always easier when playing with friends. Sometimes i also enjoy the clown-fiesta in QM too. This is assuming that players in all leagues upload equally. From what i've seen players playing ranked exclusively don't have the need to look up their MMR on a 3rd party site they can already tell their exact rank and everyone they play with because they are ranked. using a 3rd party site for information that is reliant on players providing data will never be accurate. Most ranked players already know that hotslogs is a useless site and stopped using it a long time ago. It's impossible to never get criticized. You play with random players from the internet who are protected by anonymity. Even Master players criticize each others. Many players are bad players because they criticize others but don't look at themselves. The worst thing is probably bronze players who criticize others. They don't even know anything about the game but act/talk as if they do. So you can't really avoid it and it's something you have to work on yourself. Be able to handle critique and learn to ignore insults. Just because they criticize you doesn't mean they are actually right. Many players just need to blame the loss on someone else.. If you are too afraid then you can never move ahead. Sometimes i also ask for suggestions during the draft if i am not sure what to pick/ban. You can do this too if you think you don't know what to do. Forgot a bit about the actual topic in my preious posts. 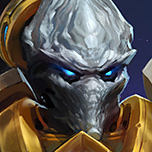 Everyone agrees QM is basically garbage, but why do we accept that? I don´t agree, otherwise i would not play it exclusively apart from brawls and some UD for quests. The only thing it needs is comps being more sensible (as they already started with role mirroring rules) and getting rid of MMR averaging. Its interesting that people have this view still, but when HOTS Dev release "the real numbers" people go out and compare it to HotsLogs and it is very close. The last one that was nearly dead on was healer win % numbers that HOTS released and it was nearly dead on with what HOTS logs has. 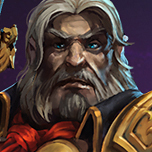 The only exception was Deckard Cain numbers were ~5% different but then Deckard was the new character at the time. 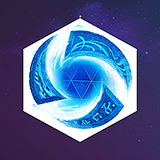 There is no speculation needed, QM is the main mode of the game, always was, always has been, and probably always will be. Until recently, it was the only (pvp) game mode where you are guaranteed to play your pick and are guaranteed to play with any group size, without level restriction. On top of that, you can start playing without having to sit through a 10 minute queue time, a 10 minute draft phase, and if you are unlucky a 5 minute game load, which can all be repeated as soon as someone dodges a game, which happens extremely often in TL or UD. So if you want to play with friends, you can get almost 2 or 3 QM matches done before you've even loaded up your first TL or UD game, and this is in EU. There are also various other reasons. Some people have ranked or ladder anxiety, some people don't like drafting, some people tried out the alternatives but had similar or even worse experiences just as in QM, everyone has their reasons. Also, you come out of the tutorial and what game mode are you directed to? That's right, QM. All of the reasons combined, the truth of the matter is that it is the main game mode, and there are numerous things happening in the past and now that makes people quit the game. As I've always said, improve your main game mode, and your game will thrive. Give people the worst experience you can think of, and they quit your game. The solutions are out there, but Blizzard has to be willing to explore them. Why not introduce a better matchmaker? Why not introduce a blind pick mode? Why not straight up remove QM and UD and introduce Whatevername mode where you can pick and play whatever you want but some form of matchmaking occurs. 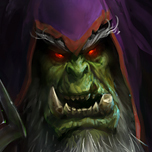 Why not introduce a mode where you queue with a favourite selected but as soon as you see which map and comp you are fighting you can alter the hero within the class you queue as for 30 seconds before the game loads?